In April this year, David Wong presented his NUS undergraduate thesis — entitled ‘Who is My Neighbour? 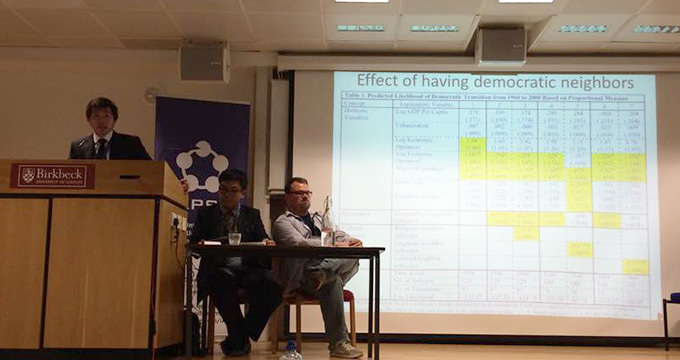 Cultural Proximity and the Diffusion of Democracy’ — at the International Association for Political Science Students (IAPSS) World Congress 2015. The IAPSS is a worldwide representation of students in political science and related studies, with 1,200 individual and more than 11,000 collective members from over 95 countries. The IAPSS World Congress is the flagship event for the association and is organised annually in a different city. The programme encompasses lectures and expert panels by leading professors and practitioners, as well as student panels. 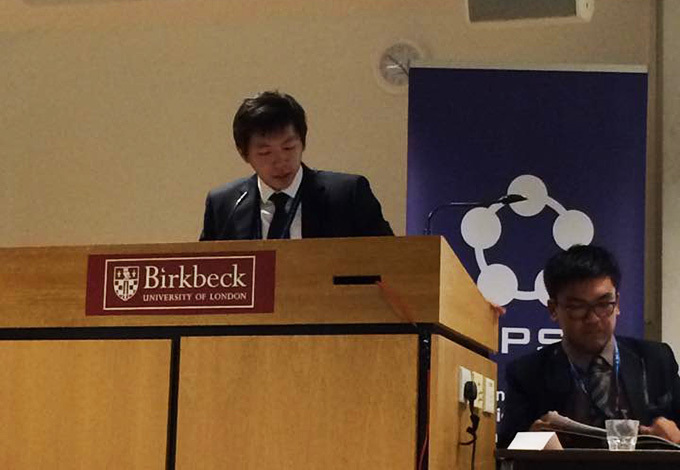 This year’s congress — themed ‘The Politics of Conflict and Cooperation’ — was attended by over 400 students, with over 100 students presenting their research in London. In a statement describing their response to David’s paper, judging panel note: "The Committee agreed that the paper demonstrated an exemplary standard of research, analysis and writing skill. David Wong De-Wei's paper is a sophistically elaborated text of high academic quality. The paper combines qualitative and quantitative analytical approaches in a well structured manner and is a great example of successful methodological triangulation. Strong theoretical anchoring is coupled with confident application of empirical data and results in convincing arguments and research conclusions." 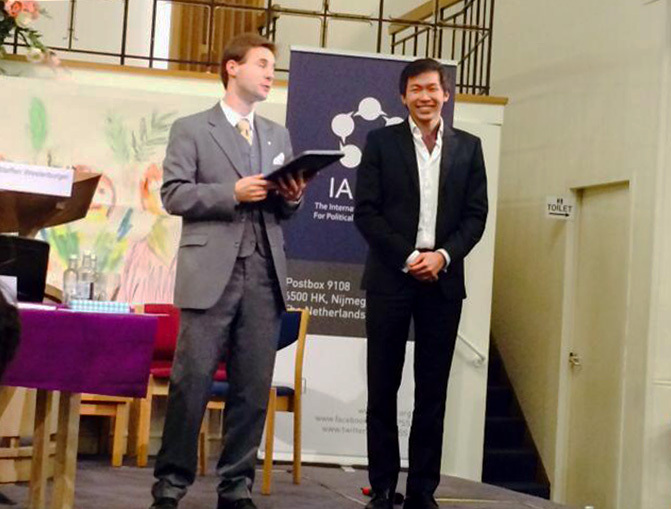 David was awarded the IAPSS Award for Academic Excellency 2015 for the best paper presented. It was the first time the award was given out. We, at Tembusu College, would like to congratulate David on his wonderful achievement; and we wish him the best in his future endeavours.